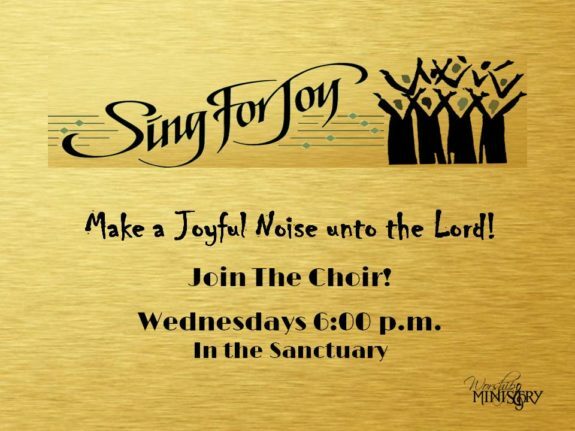 the Sanctuary will be open for a time of prayer. You may pray quietly by yourself or with a friend. Someone will be available to pray with you if you desire anointing for specific prayer requests. The altar table will be prepared with consecrated Communion elements if you feel led to partake. Candles will be available If you should care to light one as you pray. Prayer is the key that unlocks the door of the throne room of heaven! Please be sensitive to the leading of the Holy Spirit and as you feel led please take advantage of this opportunity to pray. We at Open Circle MCC are truly blessed. 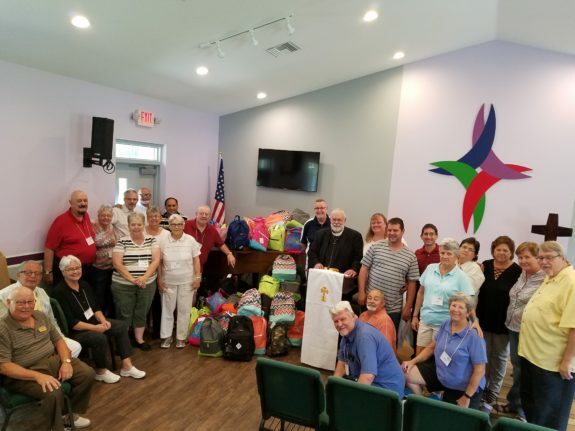 Our church held its annual “Back to School Backpack Drive” and it was such an overwhelming success! Thank You to One and All for your generosity and enthusiasm. 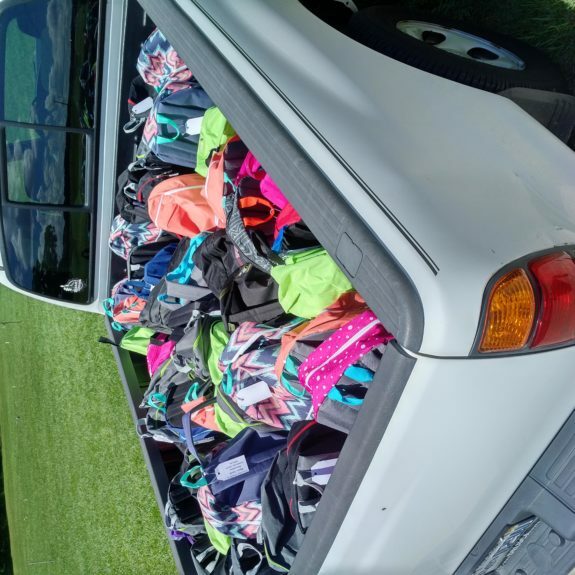 This year we collected and assembled over 53 backpacks filled to the brim (with boxes overflowing with additional supplies)! 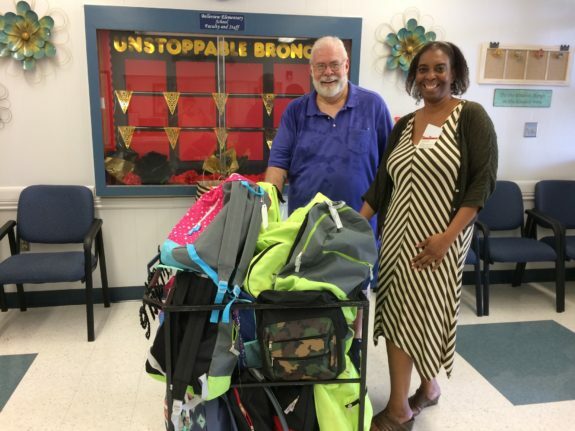 These backpacks were delivered to Belleview Elementary School where they were received by Dr. Stacey Varner – Principal and she was so grateful and appreciative.